This all metal ballpoint and roller ball pen set features a checkered flag accent on the barrel as well as as a spinning tire at the top of the cap. This unique and sporty pen is customized with a distinct rotating treaded tire cap for a more authentic flair. 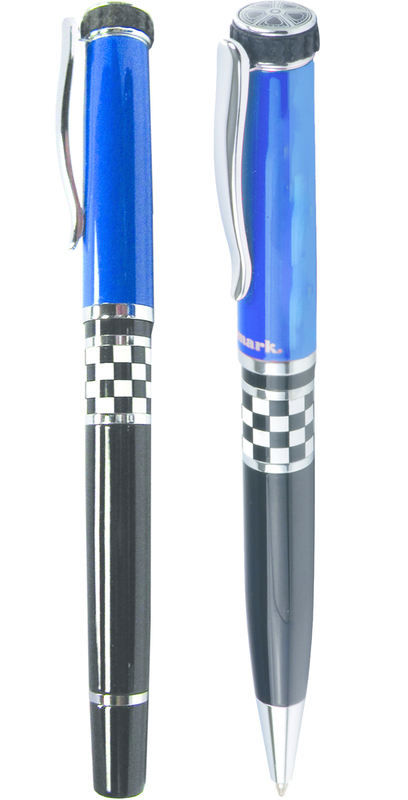 Finish first when you use this pen to promote dealerships, drivers, and race tracks.